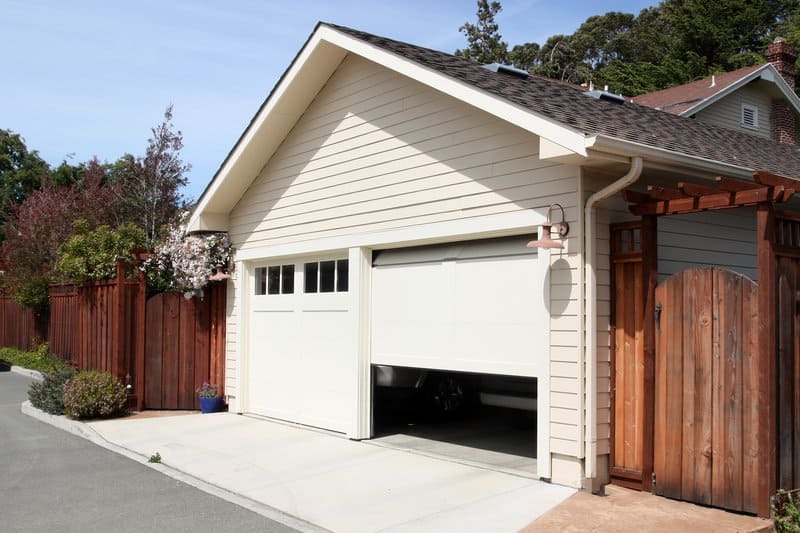 The Dangers of DIY Garage Door Repair | R&S Erection of Vallejo, Inc.
Over 20,000 garage door repair related injuries are reported every year. This includes over 7,000 pinching injuries (which can result in finger amputations), more than 2,000 crushing injuries (caused by a falling garage door), and 800 lacerations (from the glass in garage windows). If you aren’t careful, a garage door mishap can even result in death. Overhead garage door repair isn’t one of those home projects you want to do on your own. It only takes one mistake to cause irreversible damages or serious personal injury. Your garage door has one of two possible spring systems called extension systems and torsion systems. While torsion springs are a common garage door system, they can be incredibly dangerous to repair on your own. These springs sit horizontally above your garage door. When the door opens, the springs unwind and help lift the door off the ground. When you close the door, the cables attached to the bottom corners of the door forces the springs to wind up again. Torsion springs store mechanical energy when they’re wound up, which makes them dangerous if they become damaged. If your torsion springs break, the spring will unwind and shoot in an unpredictable manner. Being hit by this spring could lead to serious injury or even death. You should always call a professional when you’re garage door springs need repairs. Because you might not have the right tools or experience, it’s easy to make mistakes when you’re working on garage door repairs. And all it takes is one mistake to make the problem worse. If something goes wrong, you might even damage your garage itself or some of the possessions inside, like your car. You might want to save yourself some money, but doing garage door repairs yourself isn’t worth the risk. Most garage door repair requires specific tools. If you don’t already own these tools, and there’s a high chance you don’t, you’ll have to find and buy them. It doesn’t make a lot of sense to spend money on expensive tools you’ll never use again. To get around this problem, some people try to fix their overhead garage door with tools they have lying around. But this can be dangerous. Attempting to use the wrong tools on your garage door repairs can put you in an unsafe situation, damage the door, and ruin your tools. Instead of buying a bunch of new tools for the job, it’s faster and easier to let a professional do the job for you. Garage doors weight hundreds of pounds. Should yours fall, it could damage itself, the garage floor, any items stored in your garage, your car, etc. You might not think you’d make this kind of mistake, but falling garage doors are a common DIY mishap. And if you, your family members, friends, children, or pets are standing in the way, you could end up with serious injuries as well. You have to spend time researching your garage door before you can start any repairs. If you don’t understand how the mechanics work, you might “repair” the wrong thing on accident. In some cases, you might only address the symptoms of the problem, not the main problem itself. So you’ve spent your money and your time but haven’t actually fixed your door at all. Garage door professionals already have the right knowledge and experience making these repairs, so they’ll be able to fix the right problems, to begin with. Every garage door has different parts. If you don’t know much about your garage door or how it works, you could end up buying the wrong replacement parts. Though the replacement part may seem to work at first, the problem will eventually come back again. By the time you buy the right tools, the replacement parts, and any other materials you need, you won’t be saving much money at all. Should you make a mistake during your repair, you might have to buy a second replacement part or hire a professional anyway. In other words, you’ll be spending more money than you would have if you just hired professional help in the first place. You also have to be willing to give up a lot of your time if you choose to go the DIY route. Because you don’t know what you’re doing, fixing garage door repairs on your own can take a lot longer than it should. DIYing garage door repairs can leave you with unreliable fixes. Though it may seem like you’ve taken care of the problem, the underlying issues could still be there. This can make your door get worse over time, which can be dangerous. Ignoring these underlying issues can lead to things like property damages, expensive garage door replacements, and personal injury. Your door repairs might just make things worse. If you mess up a single part of the door, even if it’s a small part, the entire thing can malfunction and stop working. You might cause permanent damage to the door or to the entire door system. These damages require some expensive repairs, so you may as well hire a professional from the start. There are many DIY projects you can do around your house, but overhead garage door repair isn’t one of them. Though you might want to learn new skills or save some money, garage door repair can be dangerous and even deadly. In most cases, you’ll have to shell out more money to fix your mistakes than you would if you hired a professional in the first place. Looking for overhead garage door repair services? Head over to our contact page and let us know how we can help you.